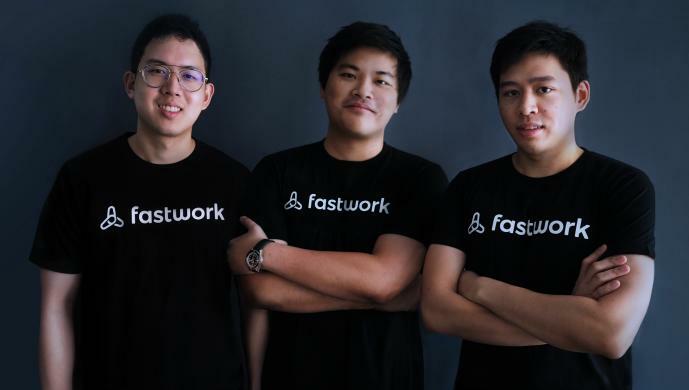 Fastwork, an online freelancing platform with operations in Thailand and Indonesia, announced today it has secured US$4.8 million in Series A financing round led by regional venture capital firm Gobi Partners. Vickers Venture Partners, LINE Ventures, and Partech Partners also joined the round, which brings Fastwork’s total amount raised to date US$5.5 million. “SMEs are growing at an unprecedented pace in the region’s emerging markets, and as a result there’s a lack of skilled talent to support their growth. Thus, freelancing platforms, like Fastwork, are heavily sought after for their ability to bridge between SMEs and freelancers/outsourcing agencies,” Gobi’s Venture Partner, Arya Masagung, said. Fastwork was started in 2015 by a group of engineers and entrepreneurs from Silicon Valley and New York with a mission to help businesses and employers in Southeast Asia to find and hire freelancers. The startup said in a press note that more than 300,000 businesses across the region use its platform for nearly 22,000 services ranging from graphic design, online & influencer marketing, data entry, to web & app development. As for freelancers, the platform enables to collect payments, promote their services, manage their orders, exchange files and communicate with their clients anywhere, anytime. In addition to providing a payment system, the platform uses a proprietary algorithm called Fastwork Score to screen and rank freelancers on both their quantitative and qualitative data, reducing time for users to find the right match. The company claims to have grown 1,100 per cent in revenue since December 2017, and is currently employing more than 50 people in Indonesia and Thailand. Recently, it launched Fastwork Pro and Fastwork Enterprise — both premium services where the top one per cent of their best performing freelancers/agencies are selected to offer high quality services and work on large-scale projects to users who are in the growth stage of their businesses. Fastwork’s follows US-based Upwork’s business model. Upwork recently listed on the American stock exchange with a market cap of US$2 billion. The post Online freelancing platform Fastwork raises US$4.8M led by Gobi Partners appeared first on e27.